Celiac disease and Hashimoto's Thyroiditis: What do they have in common? Home » Autoimmune disease » Celiac disease and Hashimoto’s thyroiditis: What do they have in common? Celiac disease and Hashimoto’s thyroiditis: What do they have in common? Celiac disease is an immune-mediated enteropathy caused by a permanent sensitivity to gluten, or gluten intolerance. Celiac disease is an autoimmune condition, the triggers of which are both the environmental (gluten) and the autoantigen (body’s own immune system). Celiac Disease can be associated with other conditions, disorders, or syndromes. More often these are autoimmune disorders, including insulin-dependent diabetes, Hashimoto’s hypothyroidism, Sjogren’s, and others. 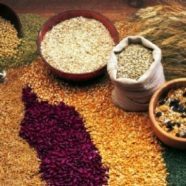 Major risk factors for Celiac disease are the grains, the genetic predisposition, and historically the advent and the spread of the agriculture. Generally speaking, elimination of the environmental trigger leads to a complete resolution of the disease, or at least to a complete resolution of symptoms. As far as the symptoms, most people manifest these in their gastrointestinal tracts. The classical gastrointestinal symptoms are chronic or recurrent diarrhea, abdominal distention, failure to thrive or weight loss, abdominal pain, vomiting, constipation, and other. However, there are a number of those who have the symptoms that are traditionally considered, “atypical”, and show up in other areas of the body. In these instances, people may have bone loss or thinning (osteoporosis/osteopenia), delayed puberty, iron-deficiency that may be resistant to treatment, liver disease, arthritis, dental enamel effects, and other. Lastly, there is a smaller group of people who are entirely symptom-free, but still have the underlying Celiac disease. These people may either have no, or minimal symptoms, but positive blood tests and markers for Celiac disease. However, asymptomatic people may still experience health issues at some point in their lives. Long-term Celiac disease complications may include short stature, skin conditions, bone loss, dental enamel erosion, fertility problems, as well as further exacerbation of the gastrointestinal tract. Other effects include malabsorption of nutrients, specifically iron, folate, calcium, and vitamin D. Furthermore, Celiac disease can lead to increased intestinal permeability, known as leaky gut syndrome, which allows the entry of large molecules and proteins, or other toxins that can further perpetuate the onset of autoimmune disease. Both Celiac disease and Hashimoto’s thyroiditis are autoimmune conditions. The symptoms that are often associated with Celiac can also be observed in people with Hashimoto’s. This is due to the fact that people with Hashimoto’s also can experience digestive issues that are inflammatory in nature, which is similar to that of Celiac disease. Consider your options by discussing them with our naturopathic physicians, acupuncturists, and our nutritional therapist. Please contact us with your questions and to get scheduled.